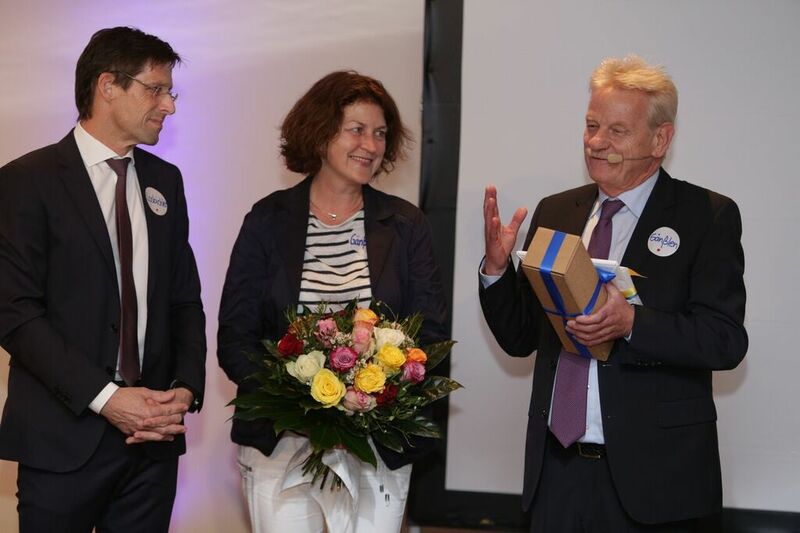 The special, emotional moment of this year’s ICV General Meeting: standing ovations for the now former ICV Chairman Siegfried Gänßlen, after he informed the participants that the Executive Board, at his suggestion, would welcome Prof. Dr. Heimo Losbichler elected as successor to the honorary post of ICV Chairman. There were flowers from Heimo Losbichler for Christine Gaul-Gaensslen, who had actively supported her husband in his honorary office for many years. In very personal words, Heimo Losbichler thanked his predecessor for his meritorious work and years of trusting cooperation (more details soon). The new ICV Chairman announced that he would continue the positive development of the Association. In this job he is assisted by Matthias von Daacke as the new Deputy Chairman. Likewise, he will have support from Siegfried Gänßlen, who will continue to be active as a member of the ICV Board. With the change at the top, the Board sets the course for the further development of the Association, in which new elections for the Board are scheduled for 2020. Heimo Losbichler, the new Chairman of the Board, can prepare further staffing proposals in an orderly and far-sighted way. Continuity of successful work of the Association shall be maintained. The ICV has published this press release on the change at the top of the Association.